Washington — Recently, a professor at the University of Pennsylvania Law School in league with a professor at the University of San Diego School of Law made bold to write an essay for the Philadelphia Inquirer. Her name is Amy Wax, and I have no idea what her politics might be. That she has gained tenure at Penn suggests she is a liberal, but that is about all I know about her. If she were teaching when I was in college back in the 1960s, she almost certainly would have been a liberal. There were very few conservatives back then. What I can tell you is that she is in very hot water with vociferous students on campus and her colleagues on the faculty. There have been demands that she shut down and ship out. In fact, she says the dean of her school asked her to take a leave of absence next year and stop teaching a class to first-year students, who are presumably still very impressionable. She says he explained that he was under "pressure" to oust her. When she objected, he explained that he is a "pluralistic dean" who has to accommodate "all sides," though, apparently, not her side. What vile, hate-filled party line had she been spouting in the Philadelphia paper? And, by the way, should not the paper be held accountable for first publishing it? Here are her two of her transgressions, as repeated by her in The Wall Street Journal. She began by cataloguing the leading ills afflicting America: "Too few Americans are qualified for the jobs available. Male working-age labor-force participation is at Depression-era lows. Opioid abuse is widespread. Homicidal violence plagues inner cities. Almost half of all children are born out of wedlock, and even more are raised by single mothers. Many college students lack basic skills, and high school students rank below those from two dozen other countries." Then, she and her colleague elucidated how America's "behavioral norms" have changed since the staid post-World War II period through the mid-1960s. Until the mid-1960s, she says, the norms were: "Get married before you have children and strive to stay married for their sake. Get the education you need for gainful employment, work hard and avoid idleness. Go the extra mile for your employer or client. Be a patriot, ready to serve the country. Be neighborly, civic-minded, and charitable. Avoid coarse language in public. Be respectful of authority. Eschew substance abuse and crime." So what is so controversial about the above? According to Wax, a large number of students and profs found her ideas to be "racist, white supremacist, hate speech, heteropatriachial, xenophobic ..." And 33 faculty members signed some sort of protest letter while inviting students to harass Wax as she walked around the campus. It sounds to me like the brownshirts have taken over at Penn, and I am told that the student bullies and profs on many campuses across the country carry on like this. I can understand why Richard Spencer, the "alt-right" guy, finds attempting to speak on these campuses so alluring. If he could merely adjust his rhetoric a bit, maybe he could become the profs and the bullies' leader or gauleiter. I, on the other hand, went to college in the 1960s, when the Berkeley Free Speech Movement was in bloom. If I recall, they were in favor of free expression. Back in those days, the liberal profs who dominated the faculties encouraged dissent. They even encouraged it from students who were socialists, and even students who were communists. Possibly, they encouraged it from Nazis and white supremacists. In those days, dissent was in the air. But not now. What changed? Well, you had to know something to be a communist or a socialist. Certainly, you had to know something to be a democratic socialist. Today, you do not have to know anything to march in a herd — I mean a crowd. Even the profs do not seem to know much. Although, I am perplexed as to objections to "Get married before you have children, and strive to stay married ... Be respectful of authority. Eschew substance abuse and crime." What is racist, white supremacist or xenophobic about those values? In fact, if married couples were to act responsibly, respectfully and law-abidingly, and their children were, too, we might have a lot fewer difficulties in our society. If memory serves, in the 1950s and early 1960s, we had all the things that Wax obviously admires, and there was no exigent clamor for gun control. In fact, guns were not even an issue when adults acted responsibly. 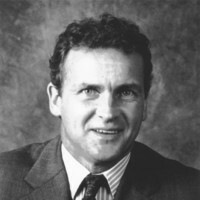 R. Emmett Tyrrell Jr. is founder and editor in chief of The American Spectator. He is a senior fellow at the London Center for Policy Research and the author, most recently, of "The Death of Liberalism," published by Thomas Nelson, Inc. To find out more about R. Emmett Tyrrell Jr. and read features by other Creators Syndicate writers and cartoonists, visit the Creators Syndicate webpage at www.creators.com.